Staff is often working out of the office so if you plan on meeting staff during regular business hours, we suggest making an appointment. A long and successful history of fundraising and working with non-profit businesses, plus management experience are among the talents that Coy Smith brings to his position as CEO of the Novato Chamber of Commerce. He has been the CEO of the Novato Chamber since 2005. He received his credential as an Accredited Chamber Executive Graduate in 2007 from the Western Association of Chamber Executives. Coy serves on the Economic Development Commission of the City of Novato, and on the Board of Directors of Superior Chamber Executives of Northern California. Prior to work in the Chamber field, Coy was employed in several capacities in the recycling industry forever 25 years where he received several state and national awards for his work. During that time he worked for the private sector, government agencies and the non-profit sector in various management capacities to implement recycling programs and policies. 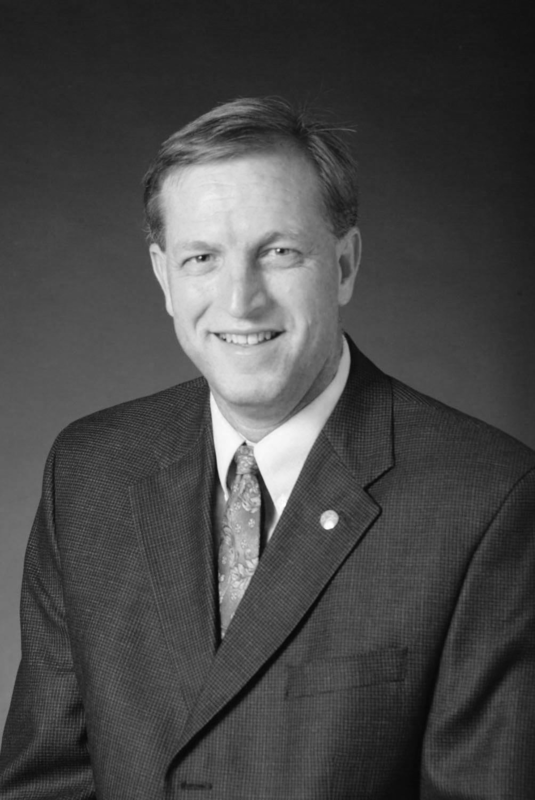 Coy was one of fifty individuals in the United States to be selected by President Bill Clinton to serve on a task force to develop a National Recycling Policy. He is one of the founders of the Novato Charter School and has served on numerous local state and national Boards of Directors over the past thirty years. 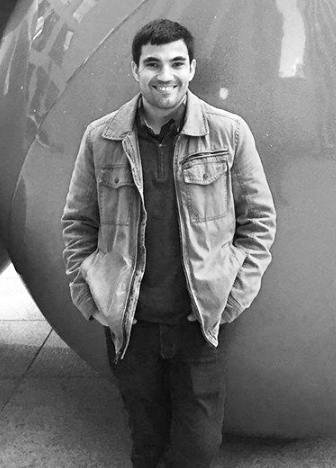 Coy has a BS degree from San Jose State University in Environmental Studies with a minor in Communications. He lives in Petaluma with his wife and two sons. The Novato Chamber Team aims to help you, your business and this community succeed. Utilize our resources and together we can work at Shaping Tomorrow. Carrie understands the needs of business owners and strongly believes in networking. Her ability to help clients make money through multiple referral means is one of the talents she brings to the Novato Chamber as VP of Member Relations. Carrie’s previous career roles allowed her to work on a national level working with clients all across the country. Her prior role as Regional VP West with a media ratings company kept her on the road over 90%. She is thrilled to bring her expertise to the local level and loves Novato. Carrie has a BS degree in marketing and economics from Concordia University, St. Paul, Minnesota. In her spare time Carrie gardens, cans, ferments and freezes her own organic fruits and vegetables. Her garden is over 1/10th of an acre. Her recreation passion is cooking and creating food masterpieces along with wine pairings. Recently, she is obsessed with making noodle bowls from the bounty of her garden. She’s an empathetic, caring person who relates to everyone she meets. Her life outlook is extraordinarily positive and she will make your day brighter every time she sees you. Carrie lives in West Sonoma County with her husband and two boys. Theo brings four generations of Marin County blood to the Chamber and with that a sense of North Bay pride and culture. Theo is also the grandson of Greek immigrants who settled in Novato after World War II. He grew up in Novato and was heavily involved in several volunteer organizations. He left Marin in order to attend university, but after graduating from the University of California, Santa Barbara with a BA in Global Studies and focuses in economics, environmental sustainability, and human development he decided to return to his native North Bay. It was during his time as a youth volunteer when Theo began to cultivate his marketing skills. One of the groups he was heavily involved with was the Boy Scouts of America. He utilized his marketing materials to help raise awareness, increase participation and spur interest in events and trainings. These skills along with his extensive connection to Marin County and his love for academics earned him a spot on the Marin County Green Team. Theo was chosen to lead an internal county marketing campaign aimed at increasing the sustainability of the Marin County Offices. In 2015, Theo was recognized for his efforts as Marin County’s Volunteer of the Year by the Marin County Board of Supervisors. He began working for the Chamber of Commerce in 2015 and brings a strong sense of pride to his work. As a proud Novato native, he brings a sense of North Bay pride to his work and is especially excited about increasing the visibility of Novato as an amazing place to do business and live. His willingness to help others and their businesses stems from his long involvement in charity organizations, and is never of short supply here at the Chamber. If you come in to the Chamber of Commerce office to meet with Theo, you most likely will meet a cute four-legged assistant. During his spare time, Theo and his family train service dogs with Guide Dogs for the Blind. Outside of the office, he is very much into being outside. He enjoys trips to the city, wine country, the coast and is often relaxing in Tahoe. When he decides to stick around Novato you can often find him hiking or in his backyard tending to his garden—though no matter where he and his Guide Dog puppy are, they are always accompanied by his camera and his love of photography. We must free ourselves of hope that the sea will ever rest. We all must learn to sail in high winds. It’s a long story from point A to point B. So let’s just say this: Christina was born and raised in Marin County until she relocated with her family to Sacramento. After graduating from Trinity Life Bible College in Sacramento with an AA Biblical Studies & BA in Ministerial Studies, she moved back to Marin—specifically Novato. 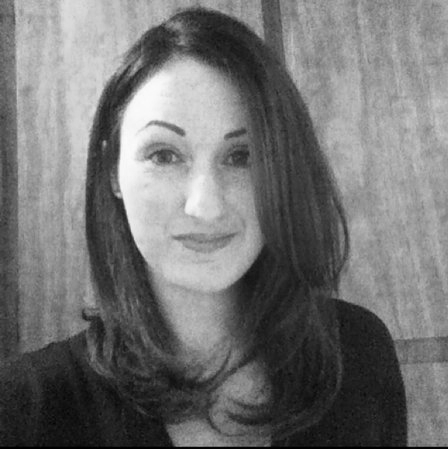 Christina’s began her career in Event Managing upon returning to her native Marin County. For a little more than ten years, Christina worked diligently to meet the needs and specifications of her various clients. Her attention to detail and ability to communicate clearly with clients and staff has allowed Christina to orchestrate a wide variety of events. Christina’s proactive approach to planning both large and small-scale events makes her a critical piece of the Novato Chamber’s team. Christina has a passion for bringing people together, and as the Event Manager here with the Novato Chamber she focuses her energy on improving the lives and wellbeing of our members and our community. Her instinct to address challenges in a productive capacity is only complimented by her natural kindness and generosity. During her spare minutes away from the Chamber, you may discover that Christina has a love for music; she is a pianist and vocalist, but do not ask her to whistle—seriously…don’t. She loves to be active and enjoys the challenge of running—you can often catch her training for a race that helps raise money for noteworthy charities. When she finally slows down from running and working at the Chamber, Christina loves nothing more than spending time with her family and close friends whenever she can sneak away to see them. In between, advising Biology and Chemistry students at Dominican University of CA, taking trips to the park with her loving twin daughters Ellie and Lily, building legos with her amazing son Sam, and watching Chef Ramsay with her video game designer husband Matthias Worch, she leads our Leadership Novato program. This amazing leadership advisor, coordinator and teacher found us in the most unique yet fitting way; on her own. Two years ago, Victoria a stay-at-home mom at the time with one year old twin daughters and a four year old son walked into our office asking how she could apply to be in the Leadership Novato program. With no job, only a drive to connect and learn, she wrote an essay about how important the SMART train was going to be for Novato, how she recently went through the Redwood City/San Carlos/Belmont leadership class, while pregnant with twins, had found a new passion for city and community development but could not put those skills into action because her family moved out of the area. A few weeks later, she was awarded a leadership scholarship and became a candidate in the 25th Leadership Novato Class. As she went through the program, we would learn her story and how she was not only a stay-at-home mom, but a writer and even better, an expert in building leadership programs. Victoria a native of Grass Valley, Nevada County CA, moved to the North Bay in 1995 to attend Sonoma State University. While attending SSU, she got her first experience of leadership development when she served on the Associated Students Productions board. Between doing security at the Phoenix in Petaluma to planning leadership retreats for student clubs, she found a passion for helping others find their strengths and be the leader. After graduation, she went on to work for Petaluma People Services Center as a YEES School to Career Coordinator training at-risk youth in leadership and career success. A few years later, she returned to higher education as the Advisor of the Associated Students of Napa Valley College and the Coordinator of Student Life where she lead her first leadership program and advised her first group of student leaders. During her time at Napa Valley College, she earned a Masters in Education in College Student Affairs at Azusa Pacific University and became a Strengths-Based Educator. After finishing her MEd, getting married and having her first child, she made the moved into administration and took a position at Cañada College in Redwood City, as the advisor to Associated Students of Cañada College and the Manager of Student Life and Leadership Development Department. In 2013, after advising and coordinating 13 leadership teams over a span of fourteen years, Victoria took a break to stay home and be with her new born twin daughters and young son. Three years later she returns to leadership development to lead her fourteen leadership program. As the new Director of Leadership, she will be responsible for recruiting our Class of 2017, gathering sponsors, moderators and caterers for each monthly class, retreat and graduation, along with facilitating the Leadership Novato Advisory Committee and the Leadership Partners. 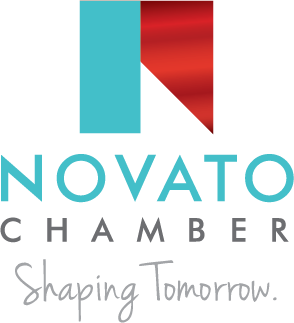 If you are interested in being part of Leadership Novato, either by participating in the program, sponsoring a day, being a moderator or if you are a past Leadership Graduate and you want to reconnect with Leadership Novato, contact Victoria today! 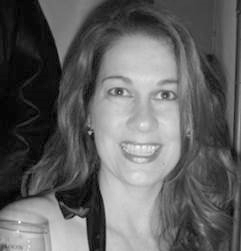 Information coming soon, Leslie was added recently to the Novato Chamber team, we are excited to welcome her onboard. Surround yourself only by people who lift you up. Jennifer Goldfinger is very happy being a regular volunteer for the NCOC. Jennifer is a native of London who has lived in the Bay Area since 1969 and in Novato since 1972. She earned her BA (Econ.) from theUniversity of Manchester and her MPA from Sonoma State University. Jennifer worked for the San Francisco Department of Human Services prior to working for the City of Novato for 21 years. She retired as the Assistant to the City Manager five years ago. While her two daughters were growing up, Jennifer served as PTA President at Pleasant Valley Elementary School and later as Safe Grad co-chair at San Marin High School. She has also volunteered for the Novato Youth Center and the Novato Human Needs Center. 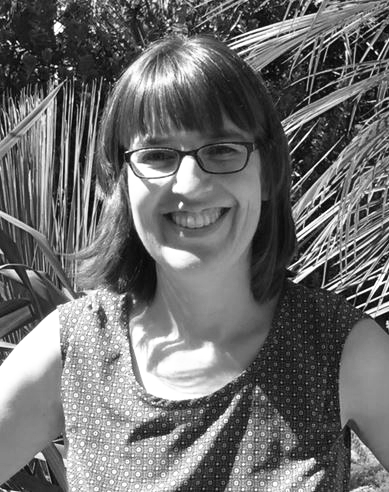 Jennifer believes that volunteering currently for the NCOC as well as for the Book Place, the Novato Historical Guild, Kaiser Hospital, Ignacio Rotary, the July 4th Parade and the City Birthday Party, enables her to continue serving the Novato community. Jennifer is a Leadership Novato graduate and after graduating presented and coordinated the Local Government session for later classes. At the Novato Chamber Jennifer works at the reception desk, greeting and assisting visitors, plus helping the the team with their projects. When she applied to volunteer for the Chamber, Jennifer said that she believed that her in-depth knowledge of Novato could be helpful to the Chamber and its staff and that she was always available to do “grunt work”, such as tearing and counting thousands of drink tickets for annual Festival of Art, Wine & Music. When she isn't volunteering, Jennifer loves being with her family, especially her grandchildren. She is an avid reader, an enthusiastic traveler and closely follows current affairs and politics. Come to visit Jennifer at the Chamber Offices on Monday mornings and meet one of Novato's finest residents! The North Bay Business Expo is BACK! Join us on March 28 at the luxurious Bay Club StoneTree. This event combines elegance and style while keeping the setting casual; perfect for any business looking to make deep and meaningful connections. The Chamber offers many levels of participation, perfect for ANY organization looking to succeed in 2019.